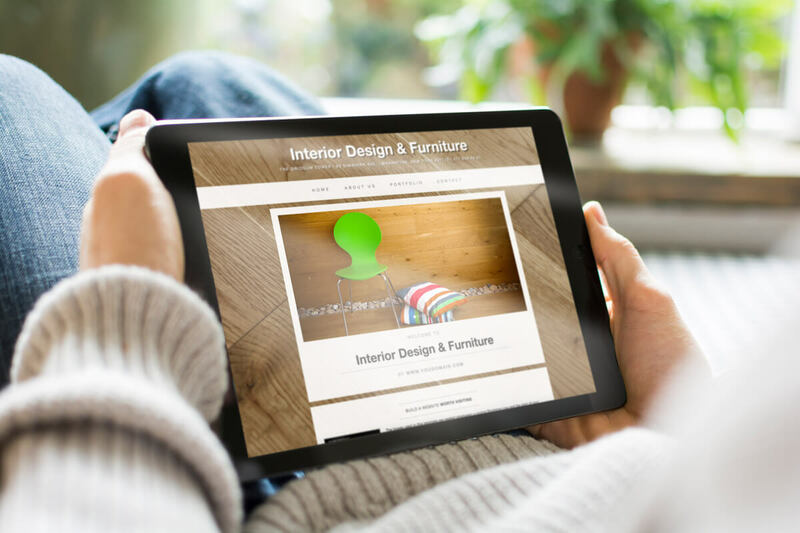 We are delighted to introduce Interior design and Furniture Free HTML Bootstrap Template, which is ready to be downloaded. It is a great deal for the businesses that are offering furniture and all the design materials for homes, also for commercial and non-commercial reasons. For Free - in these words we mean that you do not have to pay anything to us, you can download it and use it for your company. So if you feel that this theme is the one, which will perfectly adjust to your business, please feel free and download right away. Furthermore, there is no requirement for us to give backlinks. The most attractive part of this free theme is that it is responsive. Responsiveness means its dimensions and design perfectly fits the devices, which it is opened by. Also if you look at the upper middle of the Demo Preview Page you can see that we provide a quick view of this template in Computer, I pad and Cell Phone. This bootstrap website template has been created by CSS, JS, HTML5 (jQuery) and Bootstrap frameworks. Now lets briefly discuss the theme. Home - As you can see there is a slideshow, where can be added as many pictures as you wish. Furthermore, it is the homepage so you can write here welcome note for the customers or for other reasons it depends upon you. Portfolio - Here you can upload the best pictures that greatly represent the product you are offering to the marketplace. Contact – on this page there are two things for customer to contact the company: Contact Form and Contact Information (Phone, Address, Email). To be as clear as possible the Contact Form is not included in the package you have to pay 5$ for it. In case if you have not had any experience with HTML bootstrap, we recommend you our articles and video tutorials about: what is bootstrap and how to work with it. Here is provided links which are necessary and easy to understand all the things which are mentioned above. Thus, as you can see the Interior design and Furniture Template has a lot of incredible things to offer you and make our business great. If you have any difficulty or questions, please fill free to write in the comment section above and our team will respond as soon as possible. Moreover, if necessary they will create a step-by-step video tutorial specially for you.